Travelers are voting Inagua Airport, Lynden Pindling International Airport and Chub Cay Airport as the best of 28 airports in Bahamas. 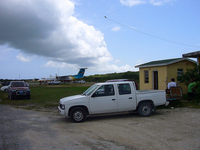 Also popular are West End Airport in West End, Mayaguana Airport in Bahamas and Deadman's Cay Airport in Clarence Town. Want more? 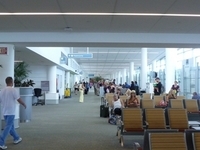 Check out our map of airports in Bahamas or these 8 airports in Nassau. 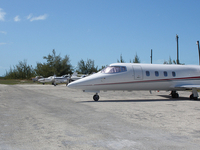 Inagua Airport (also known as Matthew Town Airport) (IATA: IGA, ICAO: MYIG) is an airport in Matthew Town in Inagua in the Bahamas. 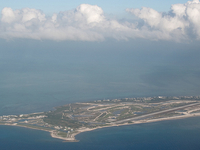 Chub Cay Airport is an airport in Chub Cay in the Berry Islands in Bahamas (IATA: CCZ, ICAO: MYBC). The airport actually lies in Frazers Hog Cay. 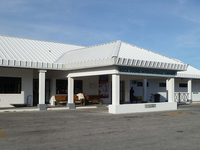 Mayaguana Airport (IATA: MYG, ICAO: MYMM) is an airport in Mayaguana in the Bahamas. 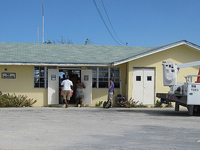 Deadman's Cay Airport (IATA: LGI, ICAO: MYLD) is an airport located near Deadman's Cay on Long Island in The Bahamas. 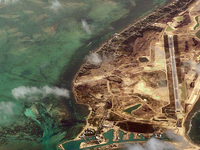 Rock Sound International Airport (IATA: RSD, ICAO: MYER) is an airport at Rock Sound on Eleuthera in the Bahamas.